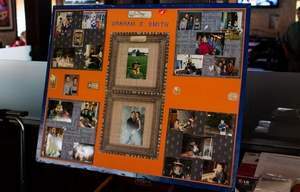 The success of the second annual Graham E. Smith Memorial Fundraiser June 10 at Grand Tavern in Farmington Hills brought a big smile to Ken Massey’s face. “Most people now realize why we are doing this,” said the Farmington Hills City Councilman and founding member of Farmington S.A.F.E. — Suicide Awareness for Everyone. 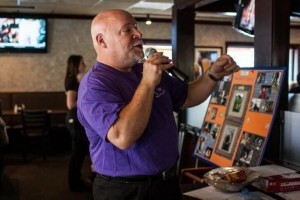 Close to 200 supporters attended the event, raising approximately $5,000 to support S.A.F.E. — a task force that has served as the model for other communities, including Royal Oak’s suicide prevention effort. The event featured a spaghetti dinner, 50/50 raffle and a silent auction. “I think people are beginning to realize the ongoing work of S.A.F.E. is important,” Massey said. S.A.F.E.’s goal is to ensure that the topics of mental health and suicide are spoken about publicly and without stigma. It’s mantra is: “Let’s talk about it.” The task force hosts quarterly meetings at Farmington Hills City Hall. Each meeting is designed to function as a community conversation at which residents and even non-residents can come together to learn and express. The last Community Conversation in March featured Common Ground, a crisis intervention agency in Bloomfield Hills that helps about 70,000 people annually. During the event, organization representatives, as well as current and former clients, talked about their experiences with mental health, substance abuse and suicide. Tony Rothschild, Common Ground CEO, spoke of his father’s suicide. But as is typical with mental and emotional problems, including suicide, Rothschild said no one wants to talk about it. The tendency for society to avoid talking about suicide is part of the problem, said Rothschild, who joined Common Ground in 1990. 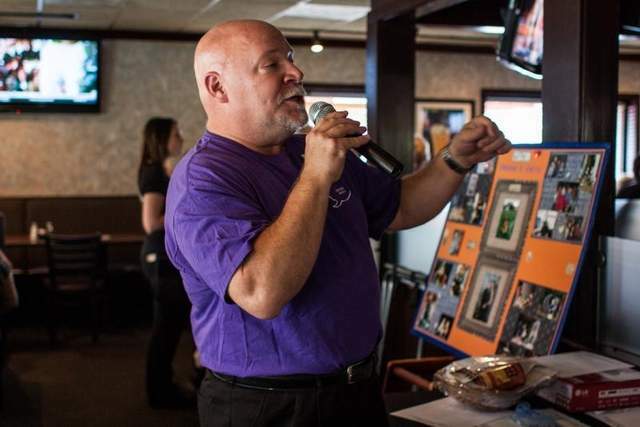 Like the Farmington area’s SAFE program, Common Ground leaders and volunteers want to talk very publicly about mental and emotional illness and how far too often it leads to suicide. Suicide and attempted suicides are far more common than most people would think. In Farmington Hills in 2013, six people committed suicide, compared to seven in 2012 and 10 in 2011, according to information provided by Farmington Hills Police Chief Chuck Nebus. In 2013, suicide threats topped 77, compared to 56 in 2012 and 57 in 2011. But in 2013, 60 people attempted suicide, a decrease from the 79 in 2012 and 52 in 2011. S.A.F.E.’s goal is also to not only provide information about resources for community members, but to connect people with the resources, Massey said. And the work will continue. This August, the first-ever Community Field Day — a softball tournament — will be held to continue raising funds for S.A.F.E. Already, Massey said, teams have formed, including two from the Hills Fire Department, one for Farmington Public Safety, another for Farmington Hills Police and one for the Hills Special Services Department. “It will be a double-elimination,” Massey said.